★. 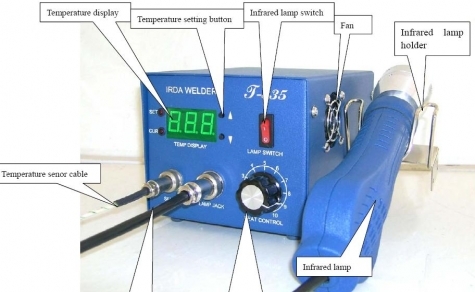 (1) Use of hand-held lamp stucture with flexible operation and easy control. The T-835 is suitable for any points of a flat component,especially BGA and SMD components . ★. 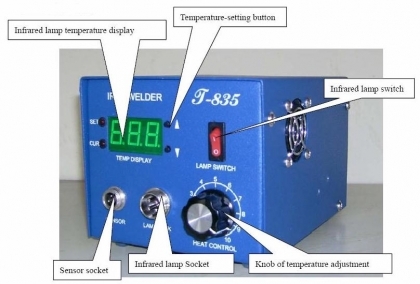 (2) Use of infrared heat lamp .Heat is easy to pierce and distribute evently, which overcome disadvantages (burn out elements) of traditional welder machines. ★. (3) Infrared heating doesn't use hot air flow ,therefore no impact on circumjacent small elements ,It is suitable for all of the elements .It can be used to unsolder BGA,SMD,CSP,LGA,QFP and PLCC,especially Micro BGA and SMD elements .T835 works together with infrared preheated T-8120,which can repair all kinds of needle-socket (such as CPU socket and inserted row GAP). ★. 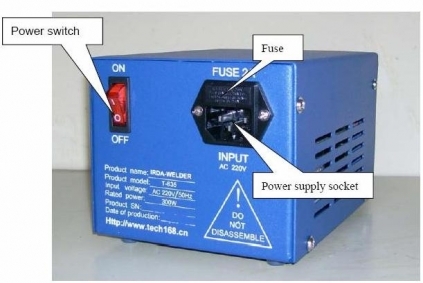 (4) Easy operation .You just need 1 day training and you can operation it skillfully. 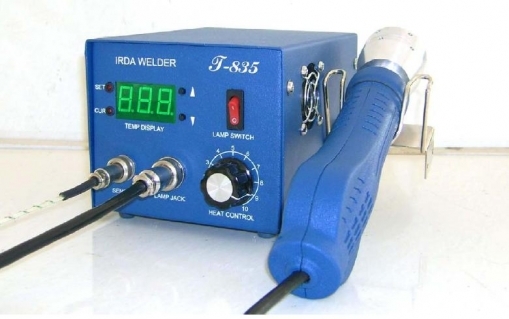 No need for any welding tools,This machine can solder all the flat components.